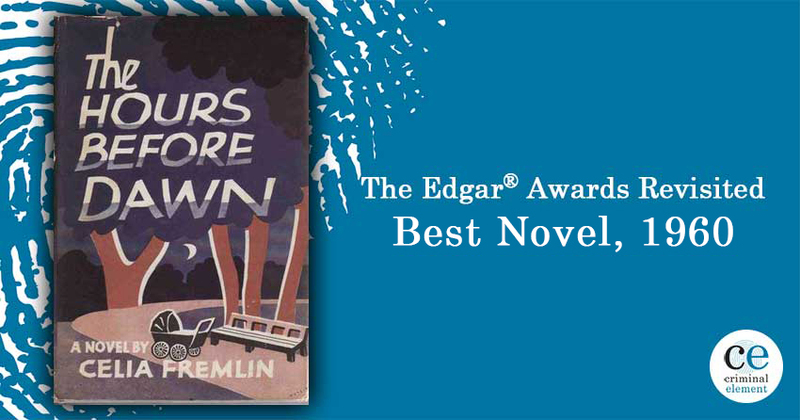 Up next in our Edgar Award re-read is 1960's winner The Hours Before Dawn by Celia Fremlin, an early example of a psychological suspense novel in a domestic setting—by an author from whom an entire genre borrows, but whom not many have read. Kristen Lepionka reviews. 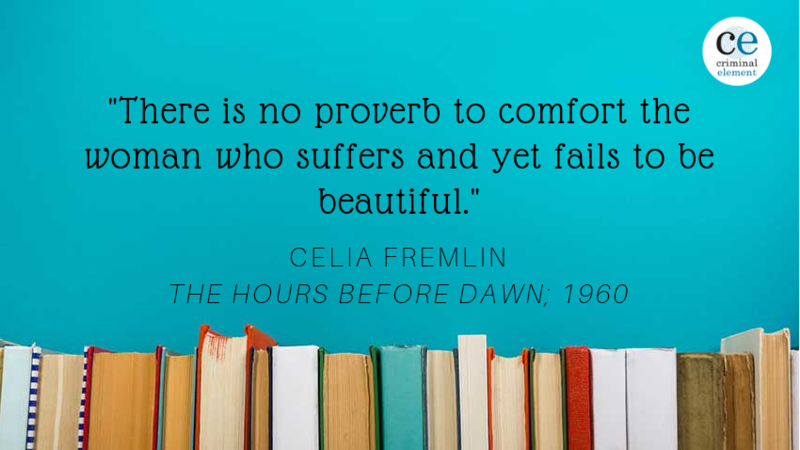 The cover of Faber’s reissued The Hours Before Dawn, which features glow-in-the-dark type that scared the bejesus out of me earlier this week, calls the book a “lost classic.” Doesn’t that sound like something of an oxymoron—the jumbo shrimp of literature? Books become classics because they are good, yes, but mostly it’s because they are remembered. 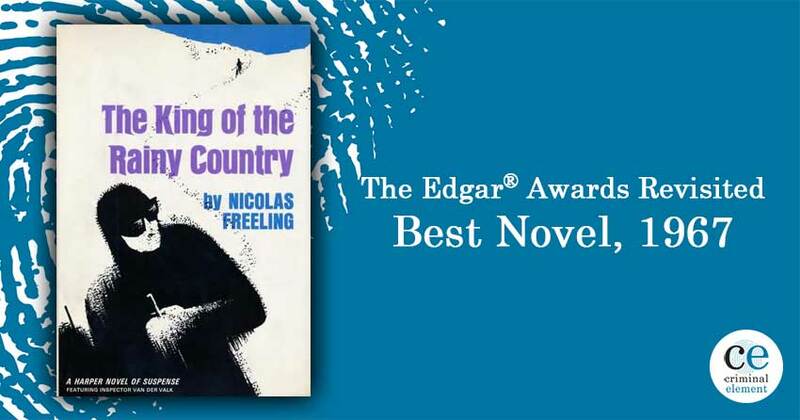 But there is something about Celia Fremlin’s 1960 Edgar Award-winning novel that feels so timeless, it’s almost a part of the actual fabric of the genre. A classic, lost in plain sight. 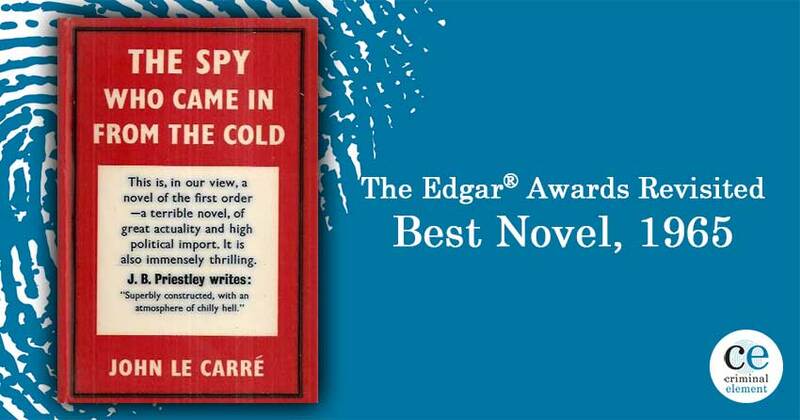 It’s an early example of psychological suspense novel in a domestic setting—by an author from whom an entire genre borrows, but whom not many have read. The Hours Before Dawn focuses on Louise, a chronically exhausted London mother of three whose newborn son could have inspired Go the F**k to Sleep. Baby Michael screams all night long. Her useless husband, Mark, keeps demanding that she keep the “damn brat” quiet and complains that Louise is too tired to carry on a conversation, yet makes no effort to help her. The neighbors have noticed Michael’s incessant wailing and have even taken to complaining to Louise’s face about it. Her school-age daughters are still very much in need of her attention as well. On top of all that, the family has just rented out their attic bedroom to a spinster schoolteacher, Miss Brandon, and Louise is starting to lose it—falling asleep while doing laundry, dreaming while awake, constantly afraid that she will accidentally blurt out how frustrated she is. After a series of strange events causes her to worry that Miss Brandon isn’t who she says she is, Louise can’t seem to get anyone to listen. It’s an early example of psychological suspense novel in a domestic setting—by an author from whom an entire genre borrows, but whom not many have read. A stranger in the house is a tantalizing premise for any story (what nightmare cannot be made all the more terrifying by an audience of strangers?) but especially for this one, a truly chilling book that captures Louise’s paranoia and weariness in almost uncomfortable clarity. At the same time, The Hours Before Dawn also manages to be a perceptive social commentary on the demands of motherhood, judgmental “parenting advice” and everyone’s certainty that they know best, and the politeness that was—is—expected of women, even in the face of crushing obligations. In this way, the book reads as downright contemporary (even though it takes place in a house with an actual scullery, which is “a small kitchen or room at the back of a house used for washing dishes and other dirty household work” which I know because I had to look it up). And, sadly, there is nothing quite so timeless as a woman clutching at her sanity, desperate to be believed. [T]he one who doesn’t mind a half-mile walk is always in a stronger moral position than the one who does; and so Louise stepped meekly onto the trolley-bus behind her husband, wishing that her only pair of high-heeled sandals were smart enough to justify the discomfort they were causing. There is no proverb to comfort the woman who suffers and yet fails to be beautiful. The prose is easy and charming, which is not to say that the book isn’t suspenseful. It’s read-in-one-sitting suspenseful as Fremlin ratchets up the tension towards a blazing climax in the scullery that will linger with you after you’ve finished—and trust me, the sound of slamming doors will give you pause for a while. 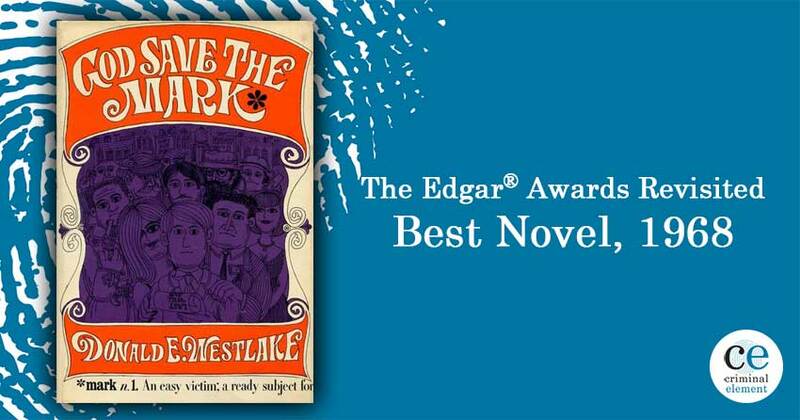 It’s interesting that in 1960, other Edgar Award winners included icons like Roald Dahl (this time for his creepy short story “The Landlady”) and North by Northwest (screenplay by Ernest Lehman) but, in the Best Novel category—the one we all think of when we think of the Edgars—the winner was Celia Fremlin, a British writer who would have been little-known at the time (The Hours Before Dawn was her first novel, after all) and, it would seem, is little-known still. There were five recipients of The Raven Award: Phyllis McGinley (the Mystery Fan of the Year), Gail Jackson (producer of the Perry Mason television series), David C. Cook (for Best Detective Stories of the Year), Ray Brennan (for his crime reporting), and to Alfred Hitchcock (“for his contribution to the mystery genre”). North by Northwest was awarded Best Motion Picture. 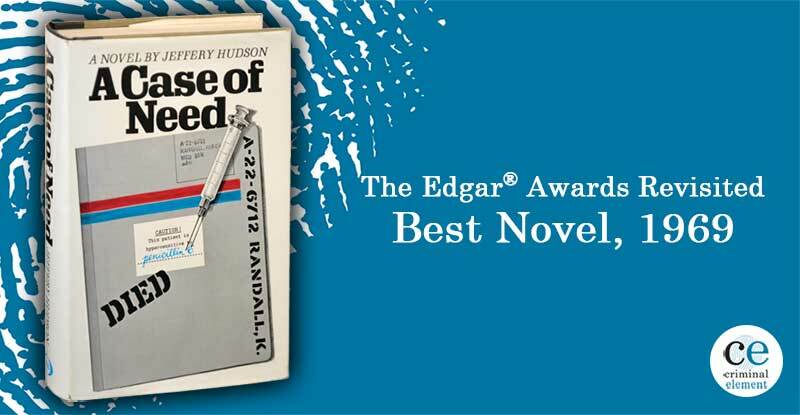 Best First Novel was awarded to Henry Slesar for The Grey Flannel Shroud. The only other nominee for Best Novel listed online was The List of Adrian Messenger by Philip MacDonald. Thanks again for joining us as we work our way through this list. Make sure to stop by next week 1961’s winner: Julian Symons’ The Progress of a Crime. Find it Friday. Kristen Lepionka is the author of What You Want to See (May 1, 2018; St. Martin’s/Minotaur) and The Last Place You Look (June 13, 2017; St. Martin’s/Minotaur). She is the founding editor of Betty Fedora, a feminist crime fiction magazine. You can visit her at kristenlepionka.com.